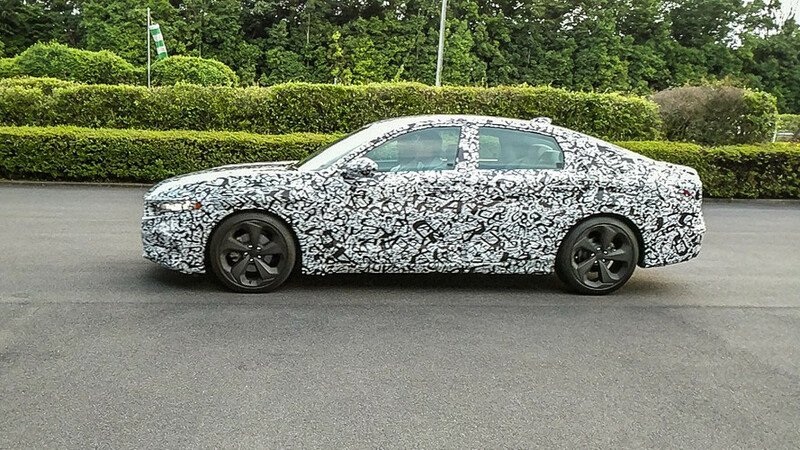 It’ll still be several months until Honda pulls all the camouflage tape off the 2018 Accord. Luckily, we got an early preview of what is perhaps the most intriguing aspect of the new midsize sedan: Its 2.0-liter turbo engine and 10-speed automatic transmission. 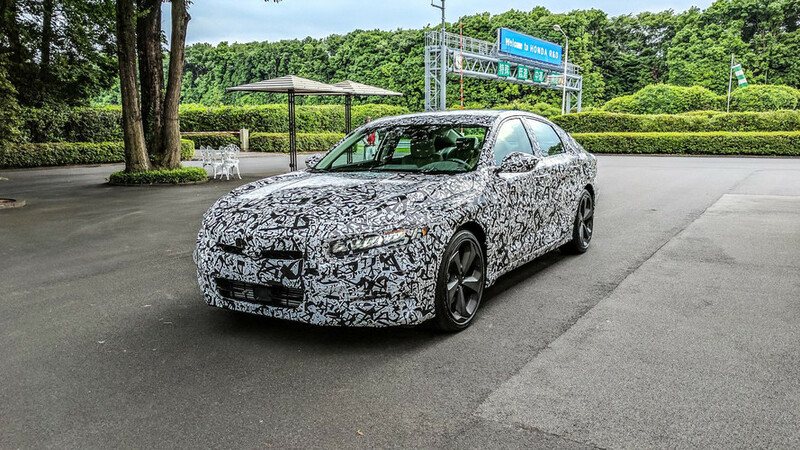 That’s right, the most powerful Accord will be a four-cylinder affair in its tenth generation, and it will have a lot more gears than before. 2018 Honda Accord Sport | Why Buy? The new 2.0T will replace the current Accord’s 3.5-liter V6 as the sedan’s top engine choice when the new car debuts. That naturally aspirated six is a strong, smooth engine; arguably one of the best in a midsize sedan. How does the new turbo four compare? Accord motor shares a block and many components with the Type R motor, but will run on 87-octane regular gas. Very well, actually. Off the line, the four banger feels quicker, much quicker; Honda credits the early torque delivery to a low-inertia turbocharger that’s quick to build boost. The car pulls with gusto for brazen 80-to-110-miles-per-hour passing maneuvers, and doesn’t in any way feel like a compromise from the V6. I take advantage of being on a closed-course oval and hit the electronic limiter at what I’m told is 124 mph (200 km/h). It’s not a very scientific top-speed test, but even at long past legal limits the car stays steady and planted. While a lot of this first drive was unorthodox and under wraps – the car I drove was still a pre-production – the drive and the engineers did reveal things. For example, the new powertrain isn’t as strong on the top end compared to the V6. But then, you’re not buying an Accord for high-speed runs are you? Kudos if you had guessed already, but this 2.0-liter turbo is very similar to the one in the new Civic Type R. To be specific, the Accord motor shares a block and many components with the Type R motor, but will run on 87-octane regular gas. 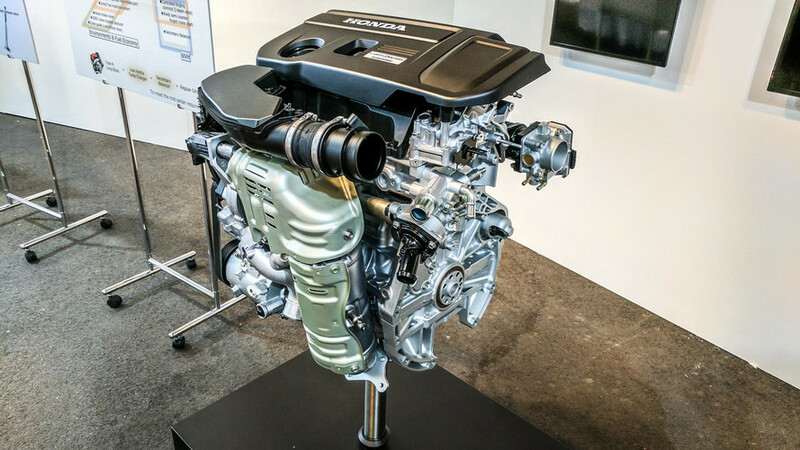 As for power itself, all Honda would tell us is that the new motor creates more than the current V6 and less than the Type R. So between 278 and 306 horsepower, and 252 and 295 pound-feet of torque. Want to start a wager? Leave a comment below. The automatic feels almost like a continuously variable transmission, always in the meat of the turbo engine’s power, but without the droning often associated with CVTs. 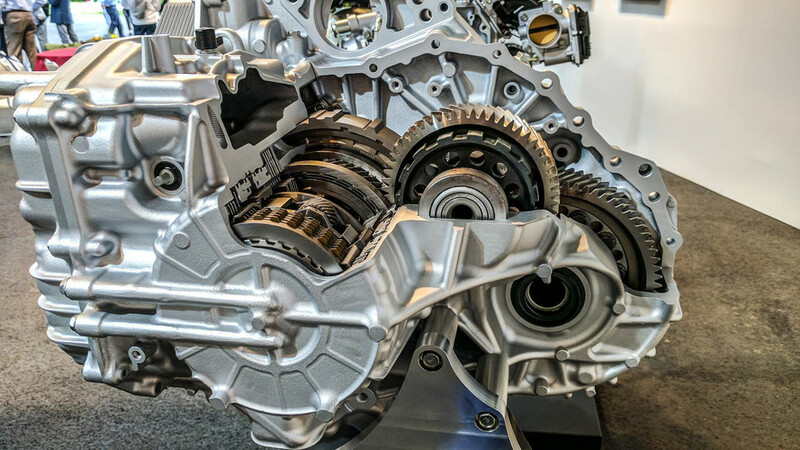 Switching to a smaller motor is also intended to help improve fuel economy; Honda didn’t say by how much, only that it would be “better” than the 3.5-liter V6. Speaking of sharing, the 10-speed is actually shared with the one that was just unveiled in the Odyssey minivan. But again, it’s not exactly the same as both vehicles have very different power delivery needs. With Sport mode engaged, the 10-speed is rather marvelous, downshifting under hard braking; the audible rev matches is by far my favorite thing. Under heavy acceleration, the upshifts are smooth and quick, skipping gears as necessary to get up to speed. The automatic feels almost like a continuously variable transmission, always in the meat of the turbo engine’s power, but without the droning often associated with CVTs. Grabbing the steering-wheel-mounted paddles and shifting myself was fine, but not nearly as much fun as leaving the automatic to its own devices in Sport mode. I noted one particular shift from fifth down to fourth sounded especially terrible; the engineers furiously took down notes. When asked what Honda benchmarked during development of the 2018 Accord, a project engineer pointed out the Mercedes-Benz C-Class and E-Class, along with the BMW 3 and 5 Series, noting the wish to move the Accord up-market. All indicators point to that the new design direction being unveiled on the Accord, which is likewise expected to show up this fall. 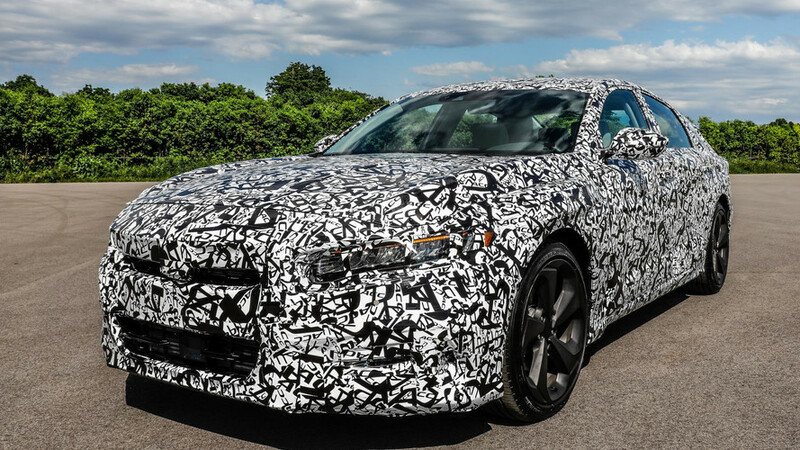 The Accord prototype was heavily camouflaged inside and out, so I can’t tell you much about how it will look. The car was left-hand drive at least, unlike the Type R I had driven earlier in the day, so chances are I was driving a North American-spec vehicle. 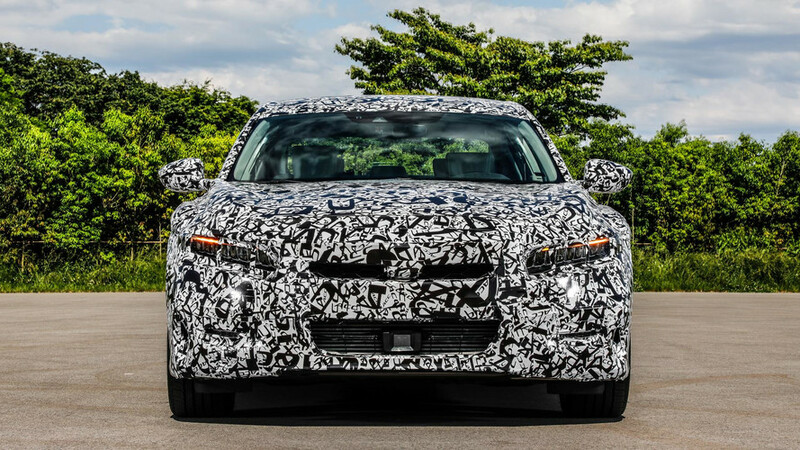 The headlamps showed tell-tale signs of Acura’s Jewel Eye design, while around back, I spied dual exhaust pipes with openings moulded into either side of the lower bumper. 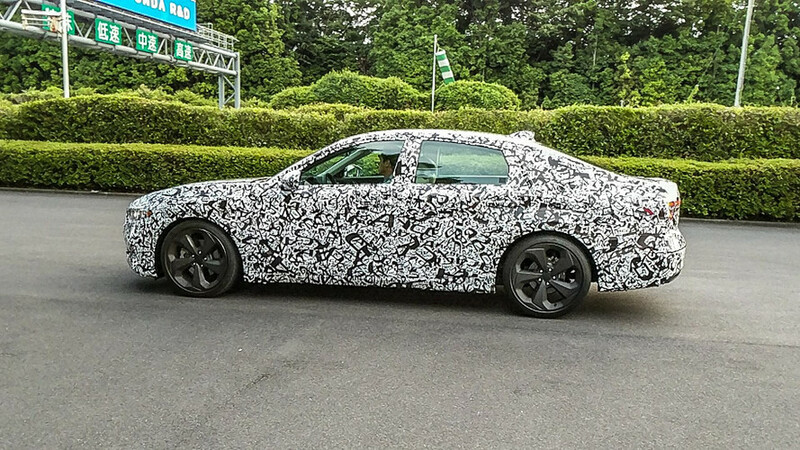 (See our spy photos for another look at the next-gen Accord.) During a media roundtable, Honda CEO Takahiro Hachigo said that a new corporate design direction would be unveiled this fall. 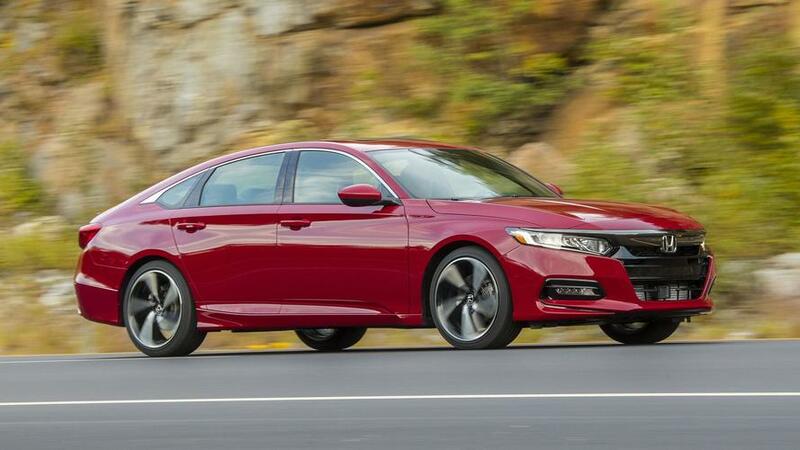 All indicators point to that the new design direction being unveiled on the Accord, which is likewise expected to show up this fall. Limited as this test drive of the pre-production Accord was, it gave us plenty of reason to be hopeful that the new 2.0T will live up to the legacy of the Accord’s respected V6. Our drive was also a chance for Honda engineers to gather feedback from automotive journalists as they continue to hone and develop the car over the coming months. In other words, you can thank me (in part) if the 2018 Honda Accord is a knock-out success.